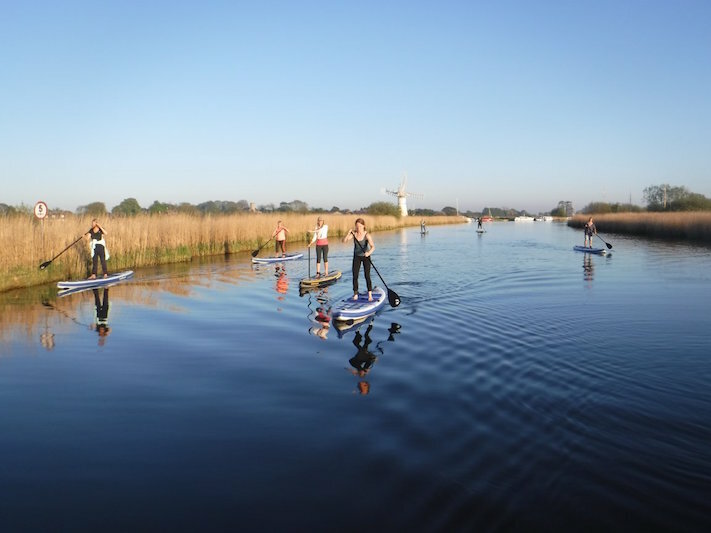 Welcome to Norfolk Outdoor Adventures, an ASI accredited SUP school located on the Norfolk Broads only 30 minutes’ drive from Norwich, England UK. 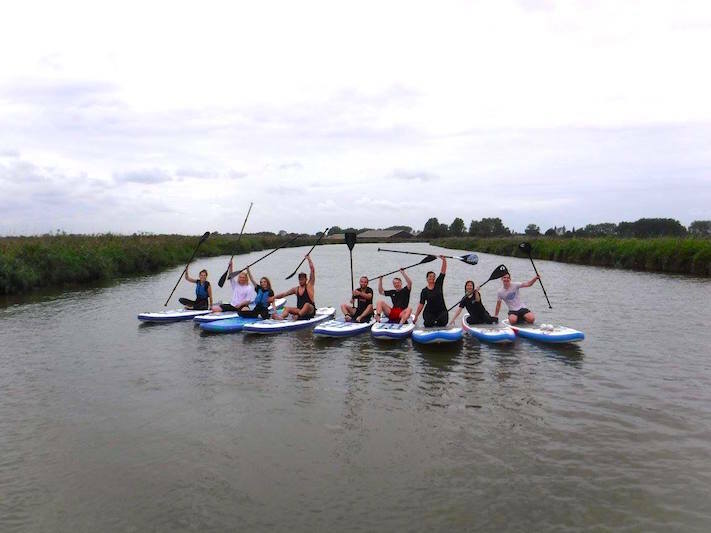 Norfolk Outdoor Adventures specialises in SUP lessons and SUP guided tours. You can enjoy a guided SUP safari experience and if small groups are not for you, then you can rent a guide for a more personal one-to-one experience. Lessons and tours are available for all levels and abilities and run on the waterways of the Norfolk Broads National Park. It is a unique place with 125 miles of stunning inland navigable waterways consisting of rivers and ‘broads’ - shallow lakes formed during medieval times when dug for peat. They also specialise in offering SUP SUP Race Skills, Competition (SUP Racing), SUP Fitness (Personal Trainer), SUP Wise Program, overnight SUP Tours and SUP Holidays with accommodation provided. Martin Rendle is the owner and Head Instructor at Norfolk Outdoor Adventures. He’s been paddling since 2013 and found SUP racing and endurance paddling was a replacement for his triathlon ironman events. 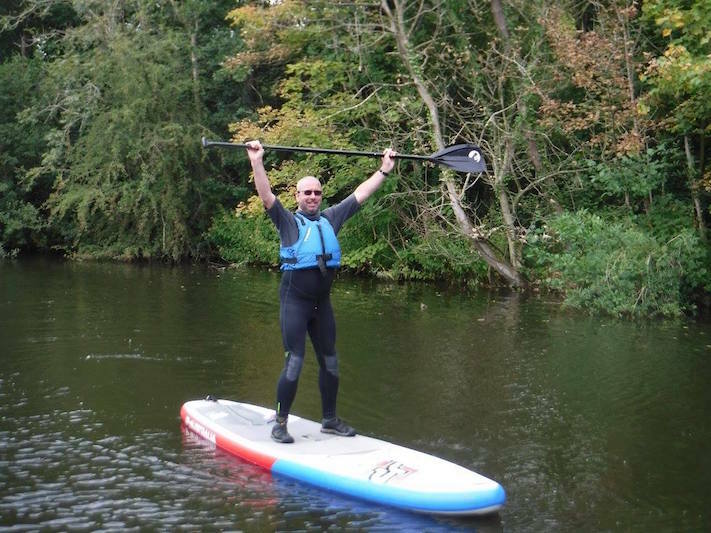 Martin is an accomplished paddle sports instructor with ASI SUP Instructor Level 1 and 2 and holds coaching qualifications in Personal Training, England Athletics Running, Trail running, Mountain Biking, Nordic walking and pole running. He’s also an ex-lifeboatman and has worked for the Royal Society for the Protection of Birds. He started the school as he wanted to help people taking their first steps into SUP a positive and memorable one, while upholding the quality of teaching that being accredited with ASI offers. 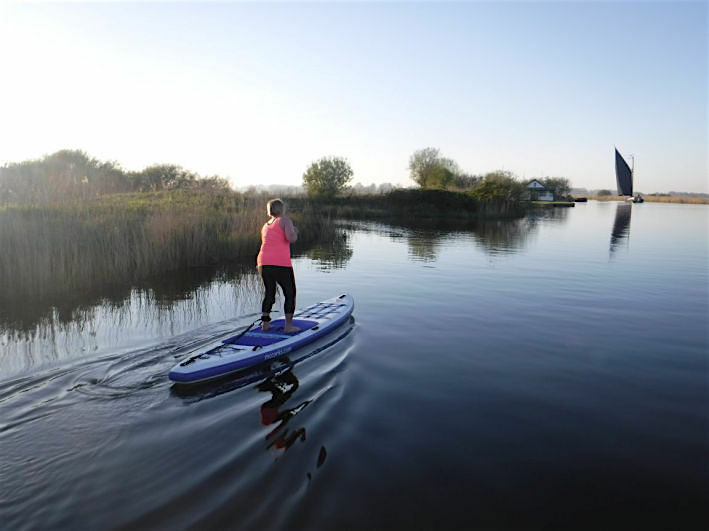 The Norfolk Broads offers perfect SUP conditions for all levels. 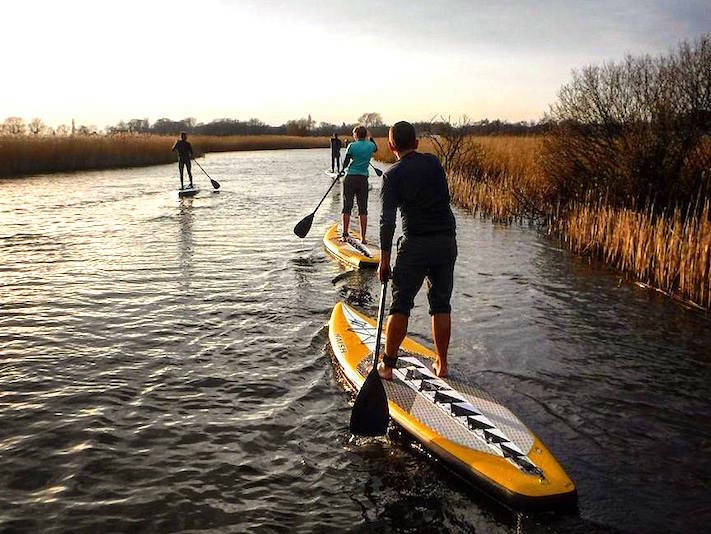 From a paddleboard out on the broads you can glide along on glassy waterways, or you can get out on to the vast broads where you can experience more exposed water conditions. It’s all there to be explored and is still a place that is yet to be truly discovered. It is also home to around 11,000 species of wildlife, 66 of which are unique to the area and 31 rarely seen elsewhere in Britain. “Martin, our guide, was both knowledgeable and passionate enough to keep everyone in the group engaged and having fun!”. “I loved my adventure into the unknown creeks and waterways of the broads. “Martin’s experience comes across really well giving tips and encouragement as we developed throughout the morning until we all felt confident on the water. Why not book a SUP lesson, tour or experience with Martin and his team? 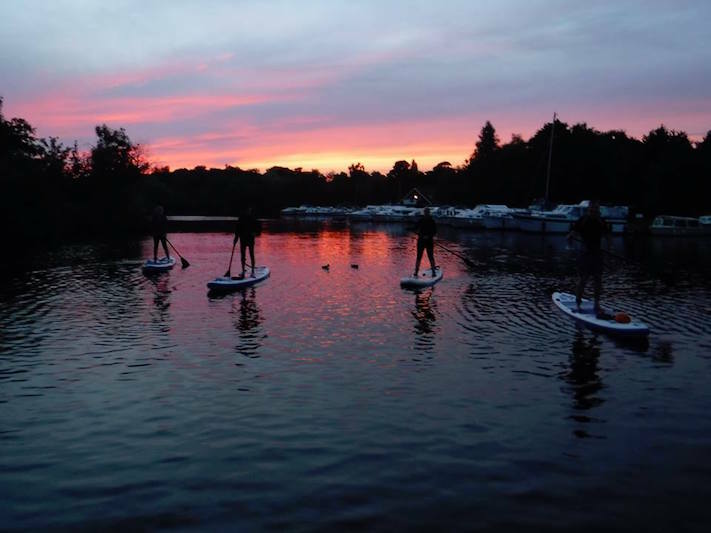 Have fun and experience the beauty of the Norfolk broads while gaining the physical and mental benefits that only being in the outdoors, surrounded by nature can bring.